Announcing a slew of measures for the sector, he said GST-registered micro, small and medium enterprises will be sanctioned a loan of Rs 1 crore in just 59 minutes through a new portal. 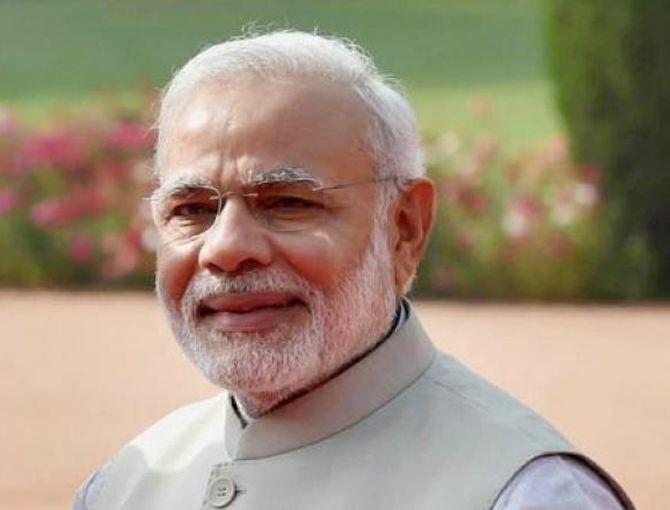 Prime Minister Narendra Modi on Friday announced 59-minute loan sanctions, relaxation in labour laws, easier compliance with environmental rules and changes in company laws for small and medium enterprises to give a boost to the nation's second-biggest employing sector. Also, GST-registered MSMEs will get 2 per cent subvention or rebate on incremental new loans of up to Rs 1 crore, he said, adding interest subvention on pre- and post-shipment credit for exports by MSMEs has been increased from 3 per cent to 5 per cent. To rid the sector of inspector raj, Modi announced that inspections of factories in the sector will be sanctioned only through a computerised random allotment and inspectors will have to upload reports on portal within 48 hours. "No inspector can now go anywhere. He will be asked why he went to a factory," he said. Easing compliance with environmental rules, MSMEs will need single air and water clearance and just one consent to establish a factory. MSMEs will have to file just one annual return on eight labour laws and 10 central rules, he said, adding that an ordinance has been promulgated to simplify levy of penalties for minor offences under the Companies Act. Modi termed the 12 new measures "historic" that will make Deepawali brighter for the sector and its millions of entrepreneurs and employees. Public sector companies, which were mandated to source 20 per cent of their annual procurement from MSMEs, will now source at least a quarter of their requirement (25 per cent) from the sector, he said, adding 3 per cent of sourcing by PSUs would have to be done from MSMEs run by women. Also, all central public sector enterprises will have to take membership of the Government e-Marketplace (GeM) to facilitate online procurement of common use goods and services by various government departments and organisations. Modi announced Rs 6,000 crore for creation of 20 hubs and 100 tool rooms for technology upgradation. Clusters for MSMEs in pharma sector will be created to boost production in the sector, he said. All companies with turnover of more than Rs 500 crore would have to now come on Trade Receivables e-Discounting System (TReDS) platform so that there is no cash flow problem for MSMEs. Talking of India jumping 23 places on the World Bank's latest 'Ease of Doing Business' ranking, Modi said in four years his government has achieved what many did not believe and what no other nation has done -- leaping from 142nd rank in 2014 to 77th position. Breaking into top 50 rank is not far away, he added.